Its such a treat having a special place just for myself, filled with lotions, potions and amazing fragrances. 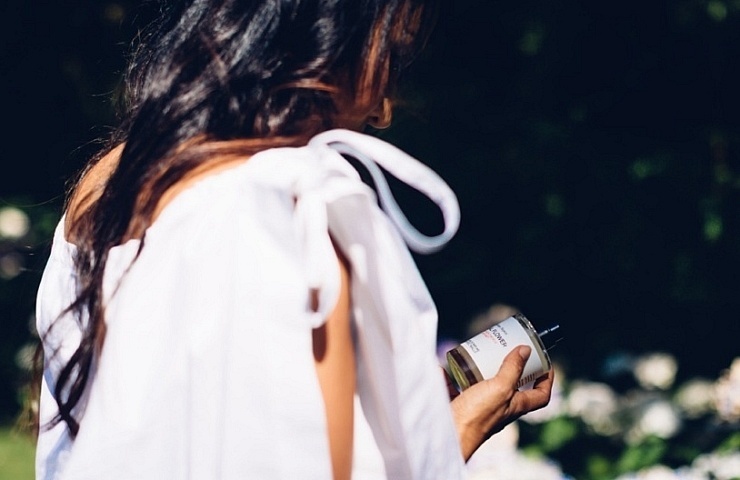 I love to escape here, discovering and indulging in the latest beauty must-haves. 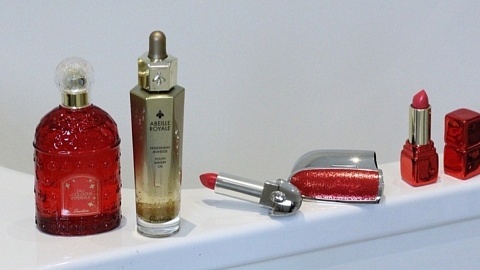 Having a spritz of my favourite perfume before an evening out or nourishing my skin with sumptuous over night creams. My girls are always so intrigued with all the beautiful perfume bottles, I remember being exactly the same with my mothers collection. They love to sit and watch me in the mirror while I experiment with new products. I’ve recently been obsessed with hair mists, they seem to having somewhat of a moment in the beauty world right now. Although they have been around for a while, but I feel they have remained a beauty insiders little secret. More and more beauty houses are now bringing these deliciously fragranced hair mists to market. I’ve been told that spraying a perfume or an eau de toilette directly on your hair can be quite drying and damaging. So I love that they’ve created hair mists to add moisture and shine, leaving you with beautifully fragranced locks. My absolute favourite is the Carnal Flower by Frederic Malle. I love this truly sumptuous fragrance, it makes my hair smell amazing. 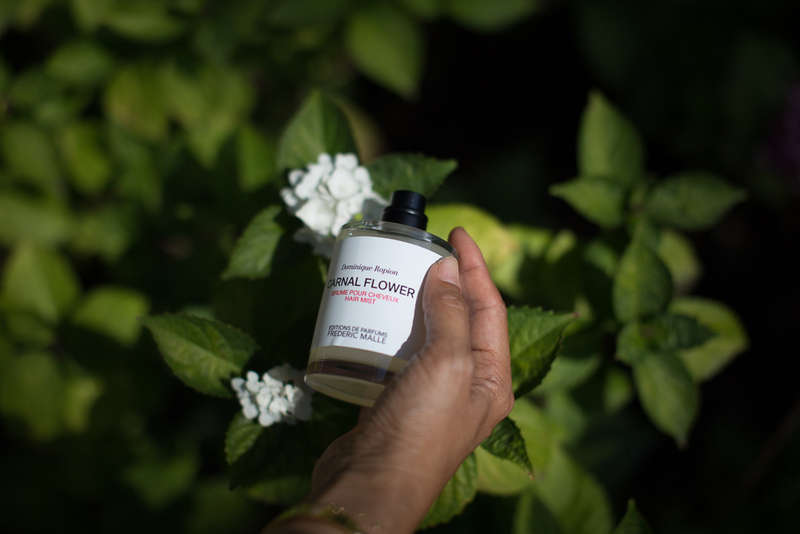 The white musk base note adds an subtle sexiness making it perfect for my date night. Nothing can lift my mood like one of my favourite fragrances. I think it may be the quintessential summer scent for me. It’s called Millesime Imperial by Creed. I love how it recreates a fruity watermelon freshness making it so easy for me to wear day or night. Its the salty scent that transports me straight back to Capri, sipping an Aperol Spritz on the back of a yacht. 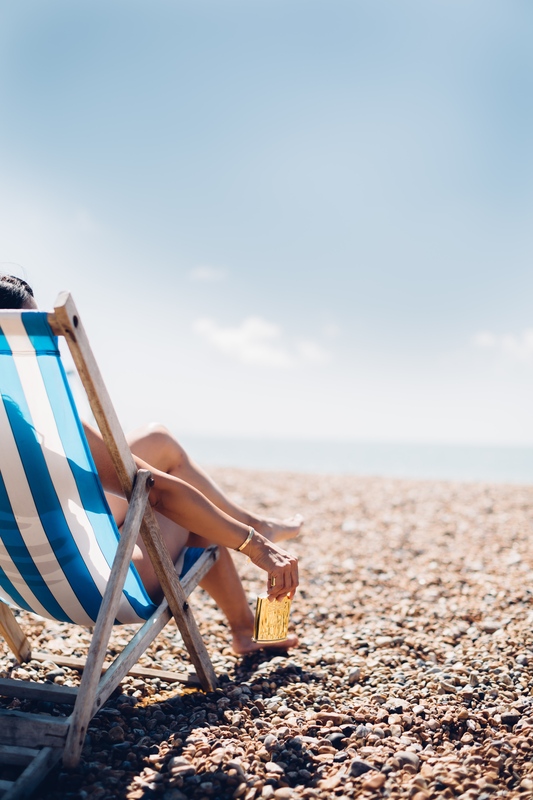 The late afternoon golden sun gentling kissing the sea, having spent the day surrounded by friends and family. It’s a wonderful memory that can live forever for me associated with this perfume. A floaty silk kaftan blowing in the calm salty breeze, beach hair don’t care and that subtle warm sensation on my sun kissed skin. This scent takes all the pressures and strains of a busy city life away in one spritz. I feel fun, flirty and ready to party with every single drop of this delicious perfume. When I have a demanding day ahead, I know that this fragrance will give me that instant confidence boost. It’s a personal positive affirmation in a bottle. 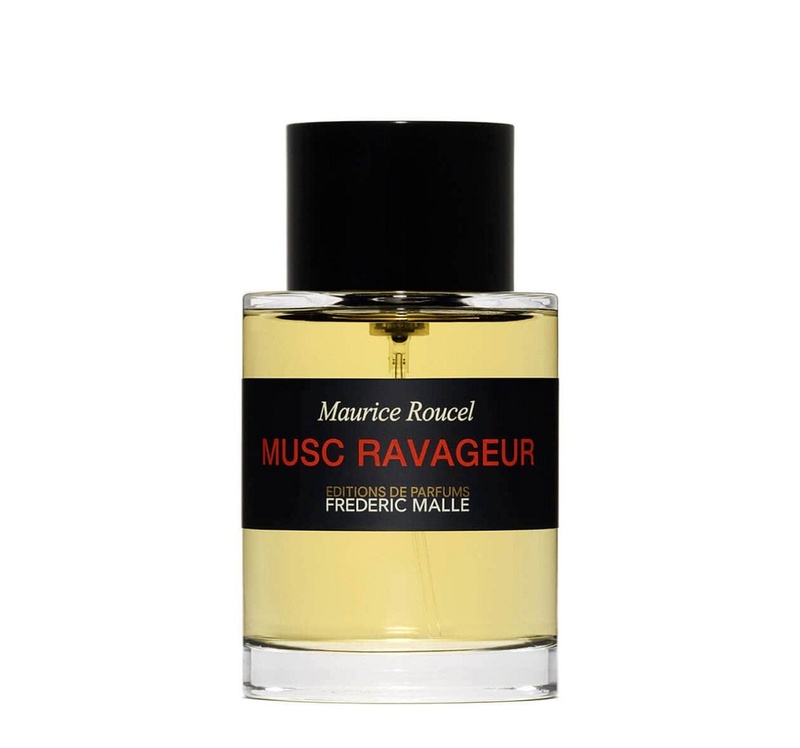 Musc Ravageur has been created by Maurice Roucel, one of the perfumers who has collaborated with Frederic Malle. The ultimate in sophistication, I adore wearing this grown-up scent. The powerful mix of ingredients create a truly unforgettable fragrance. On my skin the bergamot and cinnamon explode first, followed by delicious vanilla and warming amber notes. In the warmer summer months, it wears so beautifully, developing through the day to evening. I really feel like this particular fragrance has immense power. Its bold and takes no prisoners. It makes me feel like I can conquer the world, unashamedly feminine in a mans world. If I have an important business meeting I would always go for this scent above everything else. It gives me that extra boost of confidence in myself, feeling empowered. I believe every woman should have that special scent.